Making shea butter is a lengthy and work-intensive process that is still largely performed in the traditional manner mostly by women in the regions of Africa where shea trees grow. 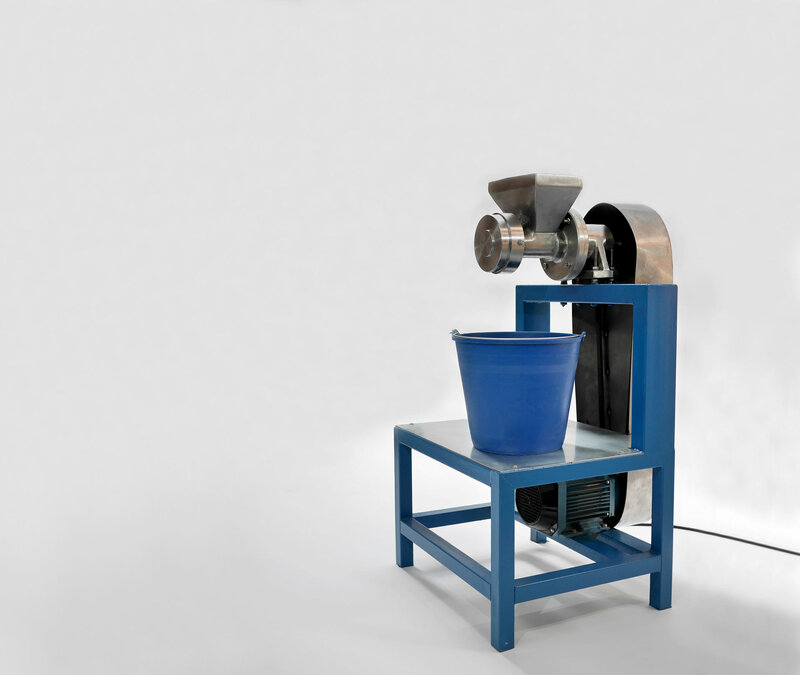 This paste maker mill can also be perfectly used to process roasted peanuts to obtain peanut butter paste. Made 100% in stainless steel, this mill can produce about 100kgs per hour of karite butter (prior roasted and crushed). Integral system for shea/karite process, including three different mills, all powered with one Photovoltaic Array of 5kW (equivalent top 20 solar modules 250Wp power each). 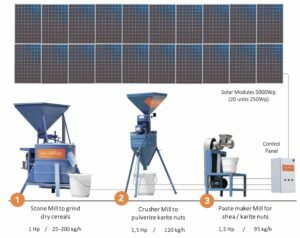 All of these three mills are mounted with three-phase motors 400V AC (*), directly coupled to the solar modules, without batteries. – Karite / Shea paste maker mill. (*) Other configurations upon request.